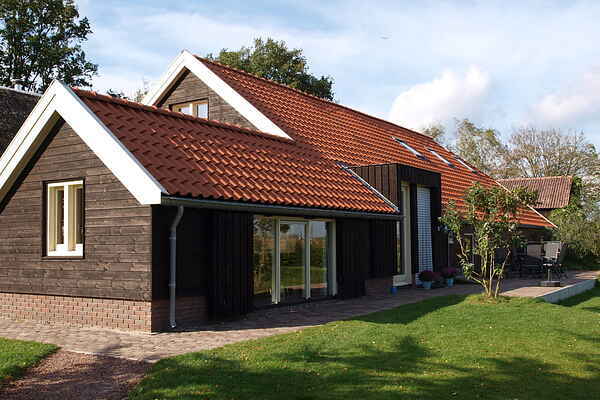 The Kappestee holiday home is near the town of Wijhe in the province of Overijssel. The home is surrounded by pasturelands. The Kappestee has been completely renovated into a colorful, modern and comfortable holiday house which is well furnished. It has everything you need for an enjoyable stay. You can relax in the sauna and sit together on one of the terraces. The centre of the village of Wijhe is at 3 km distance. The area has much to offer. The ancient Hanseatic cities of Zwolle and Deventer are about twenty kilometres away. The ferry on the Ijssel River will take you to the Veluwe Park. This is an ideal location for lovers of nature and culture. Families with children can enjoy themselves here. As well as everything else the Kapperstee offers, children and adults will enjoy meeting the horses and free range chickens.